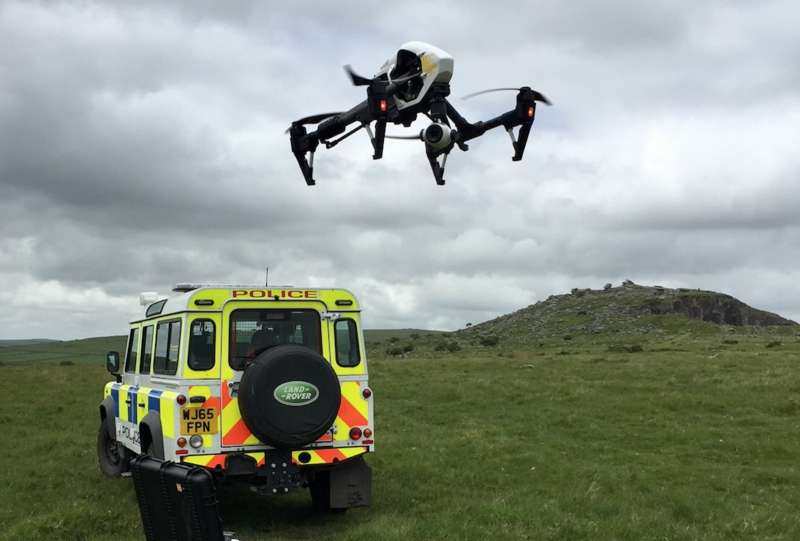 We caught up with Andrew Hamilton – the drone unit manager for Devon and Cornwall police to discuss how they have been using drones in their operations. I was frustrated while dealing with an incident that our only aerial asset, a police helicopter, was deployed on another task so I was unable to get vital aerial footage that I needed for an investigation. At the time I flew my own drones off duty so I decided to look at this technology for Police work and commenced a brief trial. As the trial was a huge success I put in a business case to set up a dedicated unit to give an alternative to using a Police Helicopter. We can now provide additional support to our officers where an aerial asset is required and also contribute to saving money in deploying a drone to simple aerial photography tasks. This also allows the Police Helicopter to be available for tasks the drone cannot do, such as vehicle pursuits, casualty evacuation and conveying officers and equipment. How many officers do you have trained to use the drones and what training do they undertake before flying? At present we have a dedicated drone unit which consists of me (being a member of Police staff) and two Police constables one in Devon and one in Dorset. We have trained a further 30 Police officers in our operations department who carry the drone as a secondary role. They will all have their dedicated day jobs such as a firearms officer or traffic officer but will also carry a drone in their vehicle. All our officers have to complete the CAA approved Remote Pilot Qualification delivered by a CAA approved NQE. 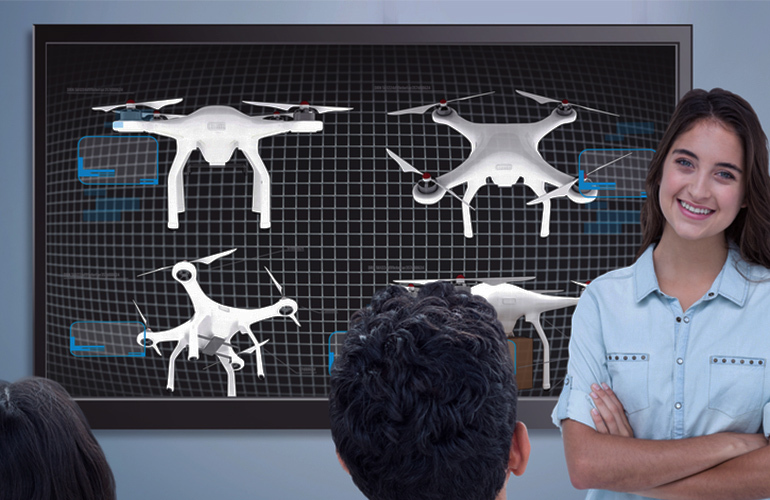 This is the same course as any member of the public would take to operate a drone commercially. Once they have passed this course they would get some extra training from the drone unit in dealing with Police incidents and evidential procedures. How do you plan to use the drones? In what areas of policing are they likely to be most widely used? The dedicated drone unit will be looking to deploy drones at Pre planned incidents as well as supporting other drone trained officers. The other 30 officers will be carrying drones in the rear of their vehicles and will be able to deploy at any spontaneous incident that occurs where an aerial asset has been requested. This could be for any incident they are called to and means we will be able to get an aerial asset in the air a lot quicker. High Risk missing persons is also another big area we can assist with. 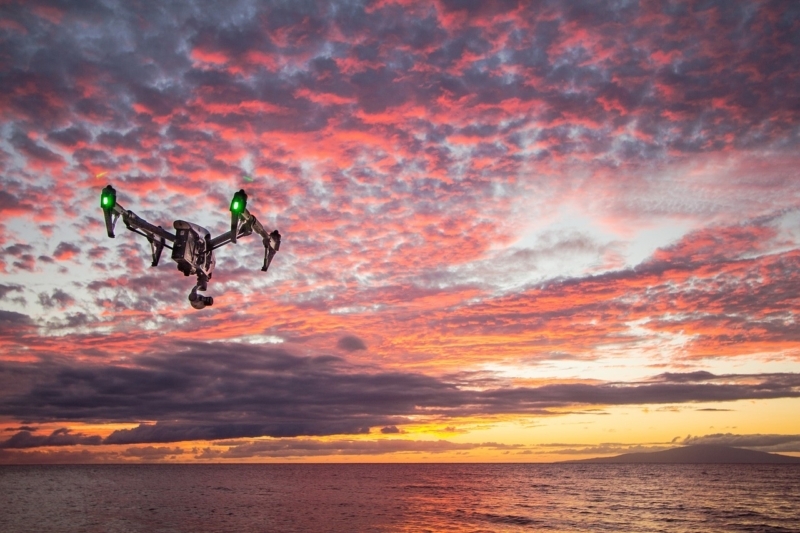 With the largest geographical police force in the country, drones can help search vast areas and work in conjunction with the Police helicopter. I see the drone as an asset which complements the Police helicopter. Do you think drones will become an everyday part of all Police Forces’ ‘toolkit’ to help them do their job? Absolutely, we have always had to rely on a Police helicopter and if that wasn’t available then we would have to do without. Now we have an alternative which is much cheaper and in some places better suited to the task. To get a helicopter to take 10 pictures of a crime scene I don’t think is proportionate when we now have an alternative. Now we are using drones we are constantly looking at ways we can use them. For example surveys of our buildings and estates, something we have never done before. Training scenarios where we can provide a different perspective to help training and feedback. What are the areas where you think drones have the greatest potential to benefit the police in the future? The drone has great potential when it comes to policing some of our big events like concerts and festivals where there are large groups of people, as due to its National picture we cannot always guarantee the presence of a Police helicopter. However, a drone and pilot can be stationed at the event throughout and can be dedicated to that event. Providing a downlink into the control room is also a great asset to give the incident commander or force incident manager a situational awareness of an incident. 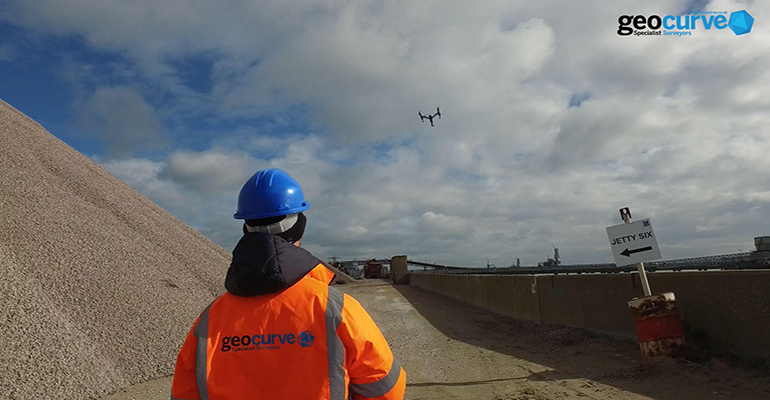 Partnership and collaborative working is also a key part of using the drone. Assisting our partner agencies dealing with incidents will be a big benefit. We have also been working with the fire service in providing aerial images of hot spots and fire damage. Finally our dedicated drone unit is also looking at education and enforcement. We have developed a safer drone’s workshop where we invite members of the public to learn how to fly safely, legally and responsibly (see www.saferdrones.co.uk). With the new drone bill going through parliament at the moment there could be new laws coming in about registration and new powers for the Police to deal with public misuse of drones. Andrew Hamilton is the Drone Unit Manager at Devon and Cornwall Police. Andrew served 30 years in the Police Service. His first 16 years was as a Police officer in London where he served in various roles as a front line officer, traffic officer and Police medic. Andrew transferred to Devon and Cornwall Police and continued his role within the traffic department. It was here whilst in the traffic department that Andrew had the idea of using drone technology to take aerial photos of collision scenes when the Police helicopter was unavailable.